I was hoping it was another Jagdeep Singh Deo and not the son of the late Karpal. What a blemish to the memory of that great man! And on the eve of Father's Day, too! 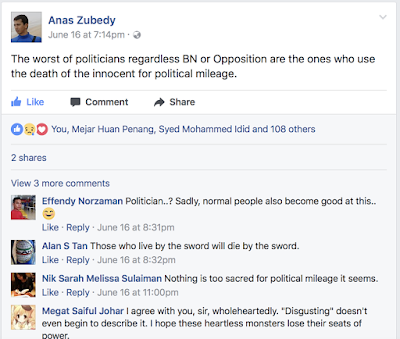 I wouldn't even blame the DAP for such despicable behaviour even though Jagdeep is one of them. Happy Father's Day, dads. Raise the children well. 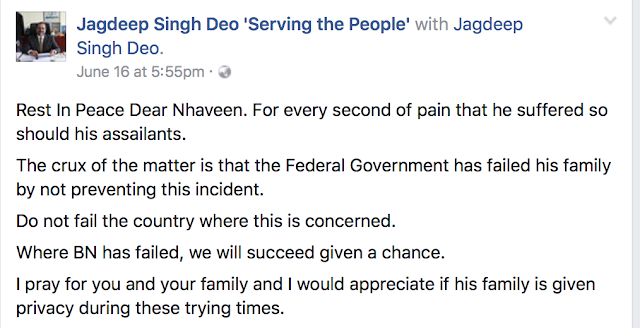 And pray they don't have what Jagdeep was smoking.